A transient who set fire to the office of a South Bay community group last fall pleaded guilty Monday to arson. 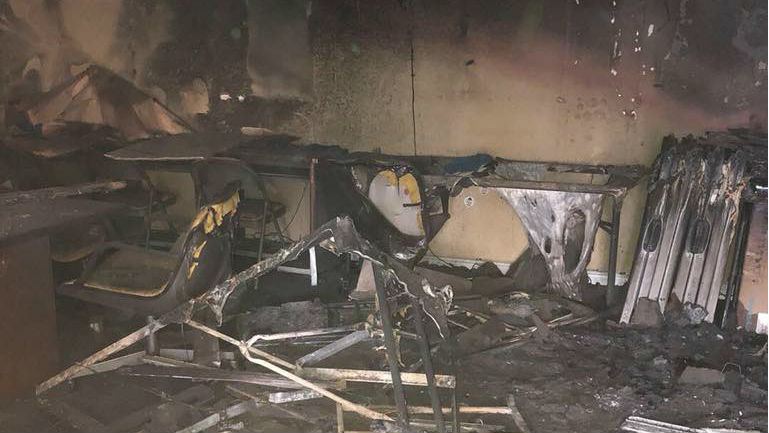 Christopher Treyvoun Jenkins, 28, is slated to be sentenced next month for setting fire to the Chula Vista headquarters of the Alliance of Californians for Community Empowerment shortly after midnight on Nov. 9, causing major damage to the structure and its contents. Jenkins was also thought to have burglarized the H Street office in January and June of last year, said Chula Vista police Lt. Kenny Heinz. While investigating the crimes, detectives learned that Jenkins, who is homeless, “might have been residing on the property without permission from the property management company,” Heinz said previously. Members of ACCE — which works on behalf of minorities and low-income residents, and was a prominent proponent of rent-control measures on this month’s election ballot — initially feared that the blaze was meant to intimidate them due to the nature of their work. Jenkins was originally slated to go to trial on the arson case on April 16, a date that is now the one for his sentencing.